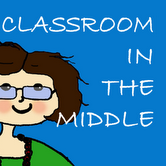 We’re delighted to have Sharon from Classroom in the Middle guest blogging for us today. 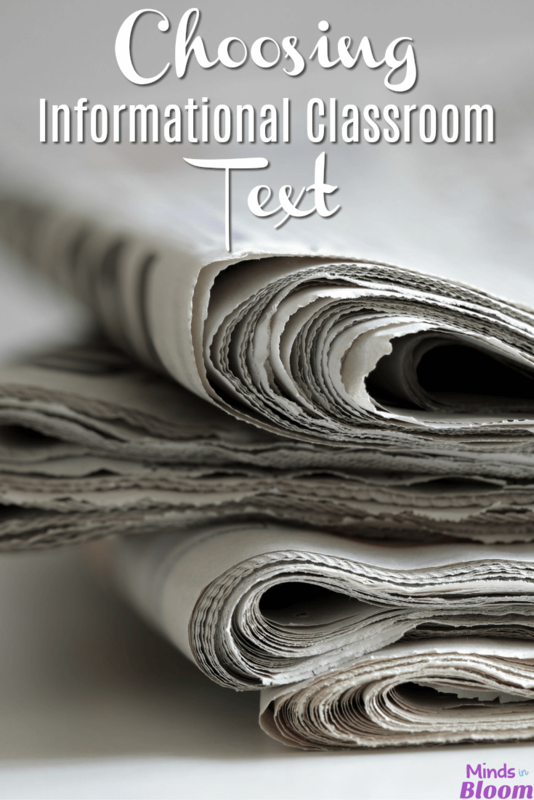 She’s written a great post about choosing informational classroom text, which we think you’ll find helpful and informative! The good news about informational text is that there is LOTS to choose from. The problem is deciding which informational articles will work best with your class. Is this a topic about which students could do a little research? Is the topic something that they could write about? Would it be a fun topic for students to create game questions about? Sports: Kids love action, and so many kids love sports stories. Sports stories still seem to appeal especially to boy readers, which is a good thing since, in the middle grades, boys make up a large proportion of reluctant readers. For a wider appeal, try a story about an unusual sport. Or try a sports report in a school paper about a recent game. This would be great for teaching compare and contrast. Students could use statistics from the article to compare the two teams. Weather: Extreme weather events can generate exciting true stories. There are many articles written especially for students about blizzards, tsunamis, and other types of severe weather. Also check weather or science websites for articles or for short videos to accompany your article. For a follow-up activity, students could look into local weather reports. They could also write their own article about things they like to do on a snow day, on a summer day when the temperature is extremely high, or on a windy day in the spring. Space: An article about space travel or the planets is great to pair with a fiction article. Students can look for the differences in the organization of the factual article and a narrative sci-fi story. Space articles are especially good if they relate to something the students are learning in science class, and their science teachers will appreciate the reinforcement. Historical Artifact: Try museum websites for interesting articles about an object from the past. Sometimes one small object can catch students’ interest in a topic that was too abstract to hold their attention in history class. An interesting follow-up might be to have students write about a modern-day object that they think will be in a museum someday. Unusual Tie-In: For kids who can only seem to get interested in one thing – for example, football – try an article than ties in with their favorite subject in some unusual way. For example, an article that is mainly about the economic plight of a small town might catch their interest if it told about the effect on the town when a factory that produced football jerseys shut down. How-To: How-to articles are a popular favorite, and they also teach the very useful skill of following written directions. Try searching the internet for food or craft websites that offer free directions for making a craft or a snack recipe. Or pull the directions from a popular old board game and use them as reading material. For a hands-on evaluation of their reading, have students actually make the craft or snack or play the game. With board game directions, students may find that, even though they have been playing the game for years, there are rules that they never knew about. A Fun Angle: Look for articles that present a fun angle on a school subject. Even a student who just doesn’t like math might enjoy reading about an art project that they could do using tessellations. A kid who thinks history is just dry facts might have fun reading about the craziness at a Renaissance fair. And a report about a local soap box derby might be news that kids would be excited to hear, even though it includes a little math and science. Informational texts provide quick practice that reinforces any reading skill. In addition to compare and contrast and following directions, informational text articles are great for identifying other text structures, such as cause and effect and context clues. History- or science-related articles may include cause and effect relationships that students can find, and almost any informational article is a good choice for studying context clues. 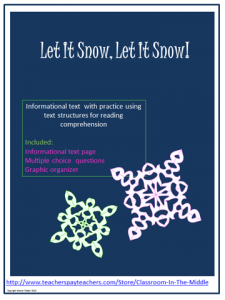 If you are interested, here is a free informational text activity, Let It Snow, Let It Snow! It includes one page of informational text that is set up like a magazine page, one page of multiple choice questions, and a graphic organizer. 5 Tips for Practicing Inferencing Shifting Gears in the ELA Classroom Making Inferences Planning Close Reading It’s a Mystery to Me!